This giveaway has ended. For an opportunity to purchase a copy of this book and other great ebooks by Ricki Heller, visit her blog here. 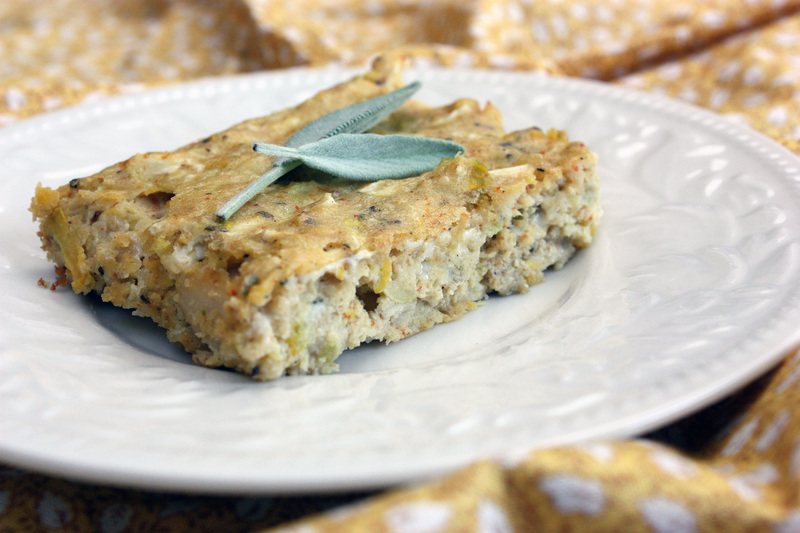 She has many wonderful sugar-free, gluten-free, and vegan recipes on her blog as well! When someone has food restrictions (one or several) and those restrictions include gluten, sugar, eggs, and/or dairy, breakfast tends to be the most difficult meal to adjust. After all, typical American breakfast fare includes cereal, donuts, muffins, milk, eggs, pancakes, and the list goes on. All of these items are off of the table when you throw in food restrictions such as those mentioned above. So what DO you eat? 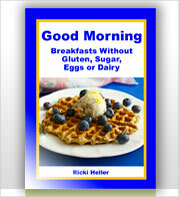 If you have a copy of Ricki Heller’s (of the Diet, Dessert and Dogs blog) new ebook, Good Morning! Breakfasts without Gluten, Sugar, Eggs or Dairy, suddenly there are more options out there than one can comprehend. This ebook isn’t Ricki’s first, and it seems her talents in the kitchen just continue to improve with each book she publishes. This book gives back those items we all miss when on a restricted diet. Cereal? Yes! Muffins? Of course. Pancakes? She has two different recipes, plus a recipe for waffles! Ricki has even figured out how to make delicious egg alternative dishes, and shares these recipes in her Good Morning! ebook. When she asked me to review a copy, I was excited. In an effort to lower my sugar intake, in combination with my avoidance of gluten and dairy, her recipes seemed like a blessing to me. She is endlessly creative, making “syrups” from almond butter and carob (she has a recipe for a sweet almond sauce that’s to die for) for topping pancakes (or sweet potatoes – she suggested it, and I happily followed her instructions. ), or making vegan breakfast sausages using rice and walnuts. 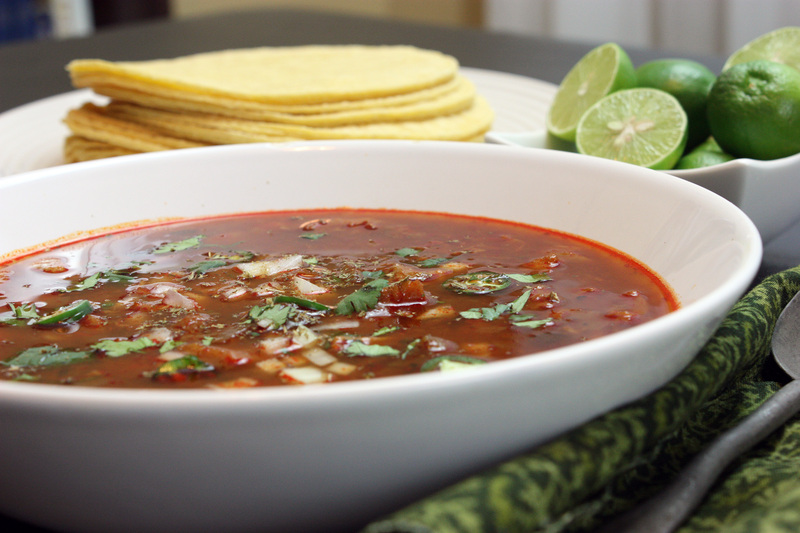 Ricki adheres to the Anti-Candida Diet, and all of her recipes are ACD-friendly. What I love is that they’re friendly to my tummy as well. I wasn’t sure what to make from her ebook first. I browsed through the entire thing more than once. I finally settled on making some of her “sausage” patties. I had some leftover brown rice from dinner, and so I set to work, blitzing the ingredients in my food processor and baking the little patties. It was a wonderfully relaxed recipe, and the result was more than I’d bargained for. They weren’t nearly as greasy or over-the-top salty as store-bought breakfast sausage. (This was welcome, as far as I was concerned.) They were filling, satisfying, and had a lovely hearty texture. They were at home with sauteed vegetables, her “veggie-full” breakfast hash (recipe in the ebook) or with gluten-free pancakes. I was hooked. What next, I wondered, as I looked through this ebook yet again? I decided I was dying to make her grain-free granola. 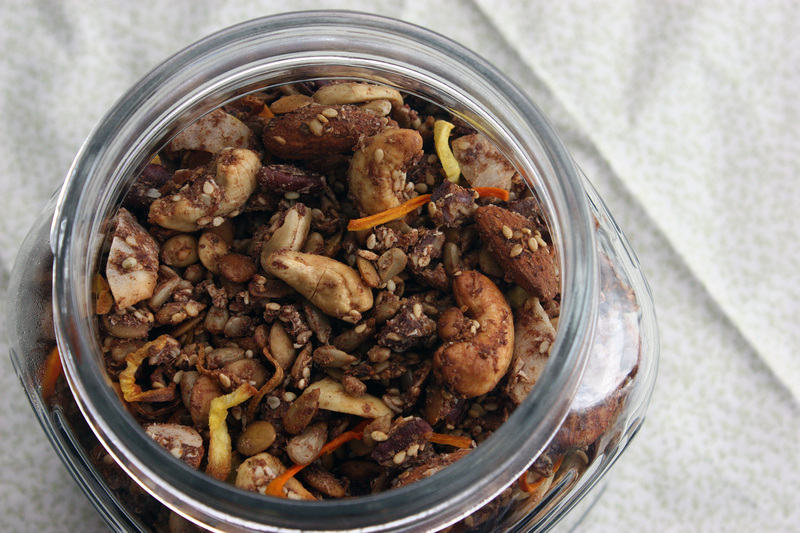 The recipe enticed me – I love granola anyway, and I loved that this version was very low on sweeteners and full of good healthy fats from nuts and seeds. It also included root vegetables, which piqued my interest. So I made it. And this past weekend, I had to make it again. It was that good. I stored this jar in my pantry, and it was so addictive that every time I ventured into the pantry, I’d end up with my hand in that jar. It also made a great breakfast with homemade almond milk or as a snack. I would have to say that Ricki’s Good Morning! ebook has passed my “test” with flying colors. It’s definitely a reference that I’ll use over and over again. And so should you. That’s why I was glad Ricki was gracious enough to give one of you lucky readers a copy! Yes, you can enter for a chance to win a copy of Good Morning! 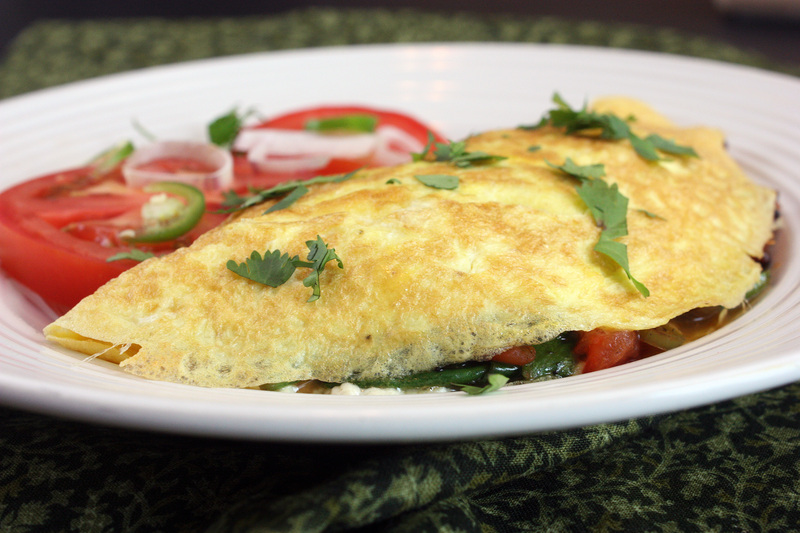 Breakfasts without Gluten, Sugar, Eggs or Dairy by Ricki Heller. Just leave me a comment below and you’ll be entered! A winner will be chosen at random on Saturday, May 14, 2011. “Like” Diet, Dessert and Dogs on Facebook and leave me a comment telling me you did so. Subscribe to Diet, Dessert and Dogs and leave me a comment telling me you did so. Subscribe to Tasty Eats At Home and leave me a comment telling me you did so. That’s it! I wish you all the best of luck! Again, this giveaway ends May 14, so hurry! 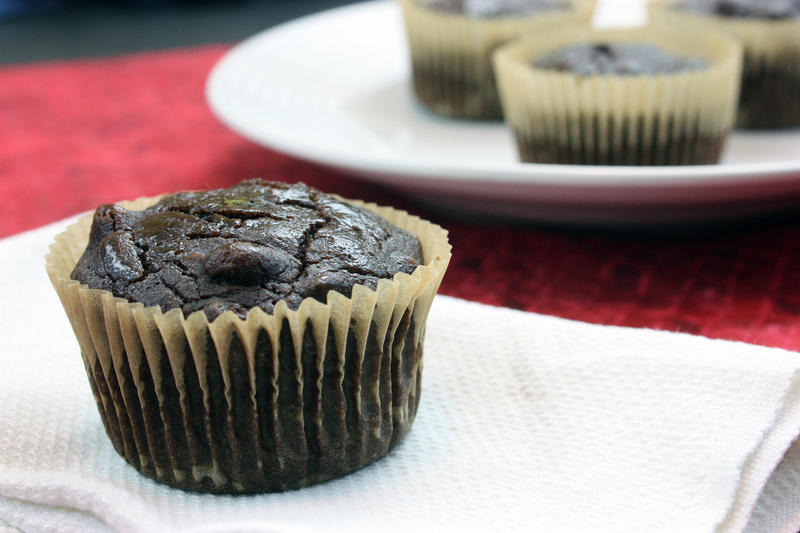 There are still a few days left to enter into my giveaway for a copy of Simply…Gluten-Free Desserts by Carol Kicinski! Check it out and enter for your chance to win! Giveaway ends May 7, 2011. This month, for Adopt A Gluten-Free Blogger (a fantastic event, initiated by Sea at Book of Yum, where gluten-free bloggers “adopt” one another, cook one or more of their recipes, and share them with the world, in the interest of becoming more acquainted with one another and enjoying one another’s recipes), I adopted Kelly of The Spunky Coconut. The Spunky Coconut is a relatively “new to me” blog; one I’ve only been frequenting for the past few months. I discovered it around the same time I was given her latest book , Grain-Free Baked Goods and Desserts as a gift. 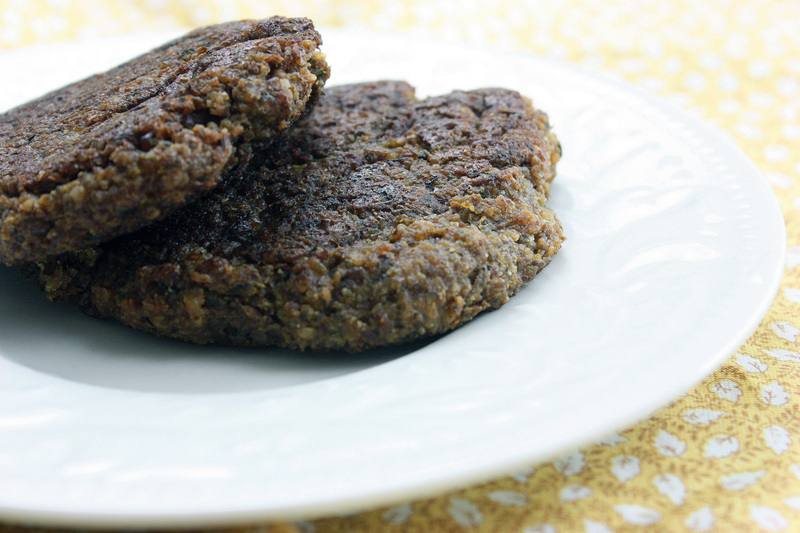 I was immediately hooked – the recipes are nutrient-dense, simple, and delicious. I’ve made her vanilla bean cake and her coffee cake, both in the blog and in her book. I loved them so much, I purchased her first book as well – The Spunky Coconut Cookbook. I knew I wanted to adopt her, just as an excuse to try more recipes. So I did. But what to make? There are so many choices! I did have a lot of raw nuts lying around, so I first opted to soak and dehydrate them, just so I’d have some yummy snacks (or potential nut butter beginnings!). Kelly outlines some easy instructions on how to do this. All you really need is time (and a dehydrator – although I’ve also done this before on the lowest setting in my oven, in my pre-dehydrator days). Mine took around 24 hours to dry in the dehydrator at 115 degrees. 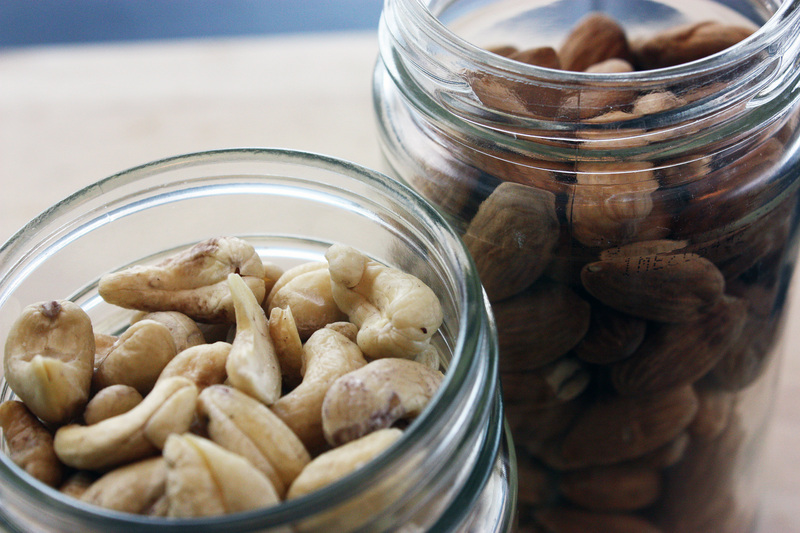 The nuts were tasty and crunchy – perfect for snacking. And then this morning, I turned my attention to cinnamon rolls. 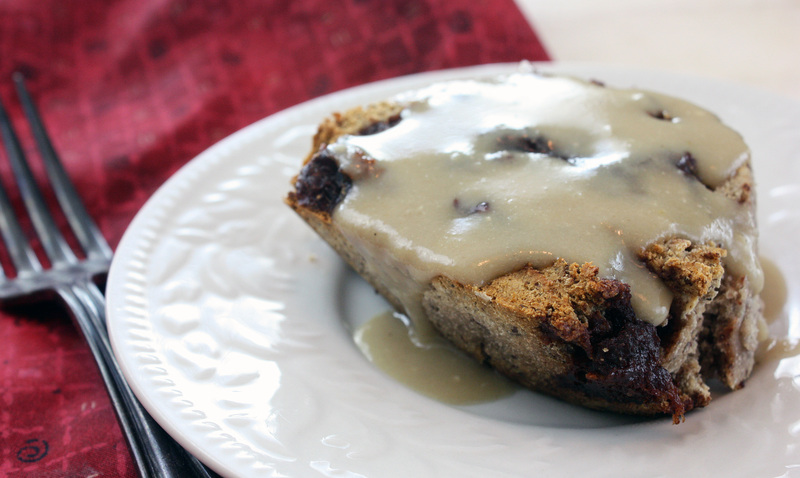 Grain-Free Baked Goods and Desserts has a lovely cinnamon roll recipe – and it’s completely dairy-free, grain-free, and refined sugar-free. 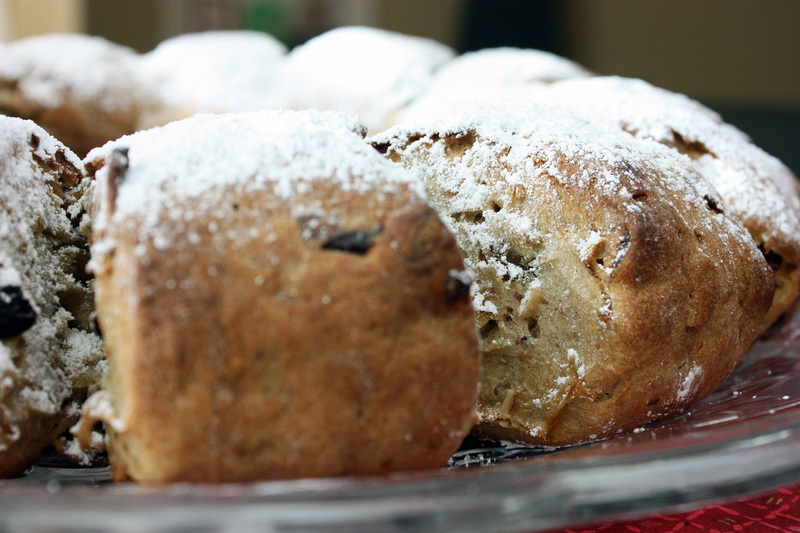 The only change I made was that I added some raisins (about 1/4 cup) to the filling. They came out full of cinnamon-y flavor, but not overly sweet or sticky. They were a lovely “grown-up” breakfast treat, perfect with coffee. These two recipes are just the tip of the iceberg of The Spunky Coconut. I encourage you to go. Visit. Browse around a bit. You might decide you want to try a vegan, raw-inspired caesar dressing for your salad. Or grain-free tortilla wraps (which are next on my list!). Or as it warms up outside, how about a chilled chia coffee drink? The recipes here are endlessly creative – I know they’ve opened up my mind to a lot of amazing possibilities in the kitchen!